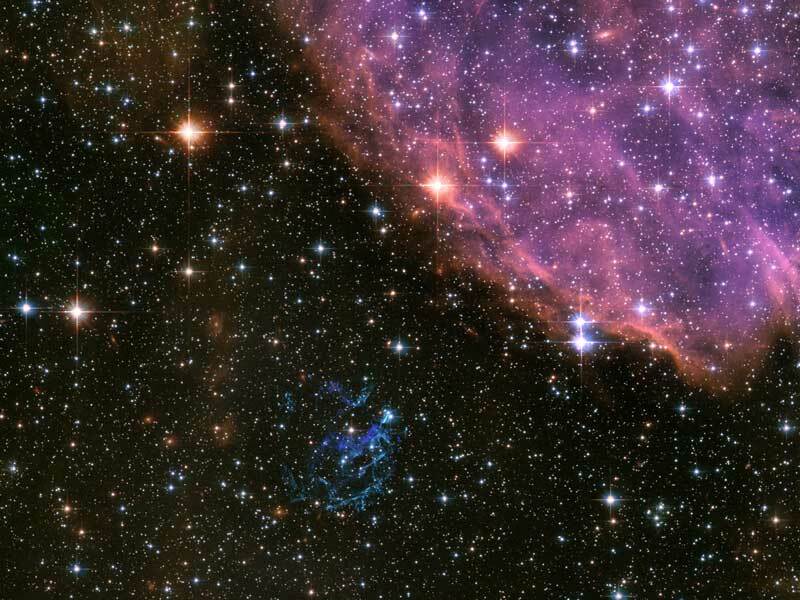 Explanation: It's the blue wisp near the bottom that's the remnant of a tremendous recent supernova explosion. The large pink structure looming to the upper right is part of N76, a large star forming region in our neighboring Small Magellanic Cloud (SMC) galaxy. 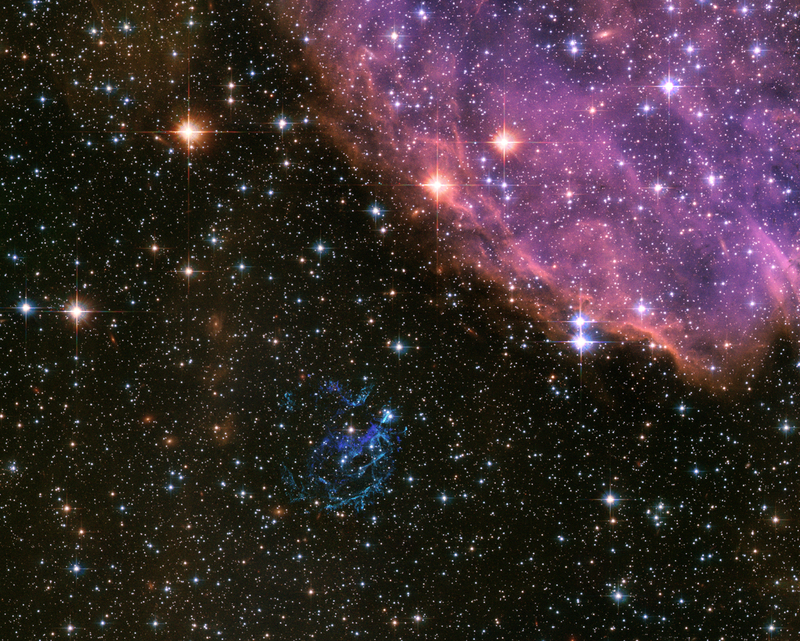 The supernova remnant wisp, with full coordinate name 1E0102.2-7219 and frequently abbreviated as E0102, also lies in the SMC, about 50 light years away from N76. The above image is a composite of several images taken by the Hubble Space Telescope. E0102 is of research interest because we see it as it appeared only 2,000 years after its explosion. Examination of E0102 therefore gives clues about how an enigmatic supernova works and what materials it dispersed into the surrounding interstellar medium.